Does family entertainment refer to animated fairy tales, or movies that revolve around children? There are thousands of films produced every year, but can you find something with a positive message or does watching them often feel like a waste of your time? I haven’t given up on the notion that movies can be both positive and entertaining. Storytellers have the opportunity to give people something to hope for. 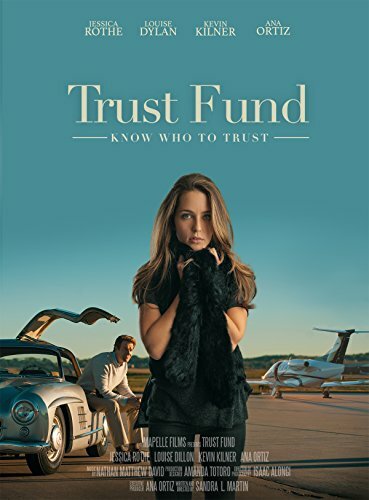 Trust Fund follows an affluent family facing plenty of conflicts, with dishonestly, jealousy and pride. Audrey and Reese have a very complicated relationship and both are preoccupied with what is owed them. When faced with choosing between right and wrong, Reese decides to follow her heart, not caring who she hurts along the way. When realizing she deserves to be disowned by her family, her father chooses to offer his forgiveness as a way of teaching her about love, accepting her and knowing that she isn’t perfect. The Donahue family face their share of problems, but in the end, love brings them back together. If you loved Whiplash, and who didn't? You'll be as excited as we are to hear that Damien Chazelle's new project will be released next Summer and Trust Fund's, Jessica Rothe is among the cast of the musical feature La La Land. Ryan Gosling stars as a jazz pianist who falls for an aspiring actress (Emma Stone.) J. K. Simmons and John Legend are also set to star in the film and the amazing cast seems to just keep going. Congratulations Jessica! Trust Fund aces the Bechdel Test!